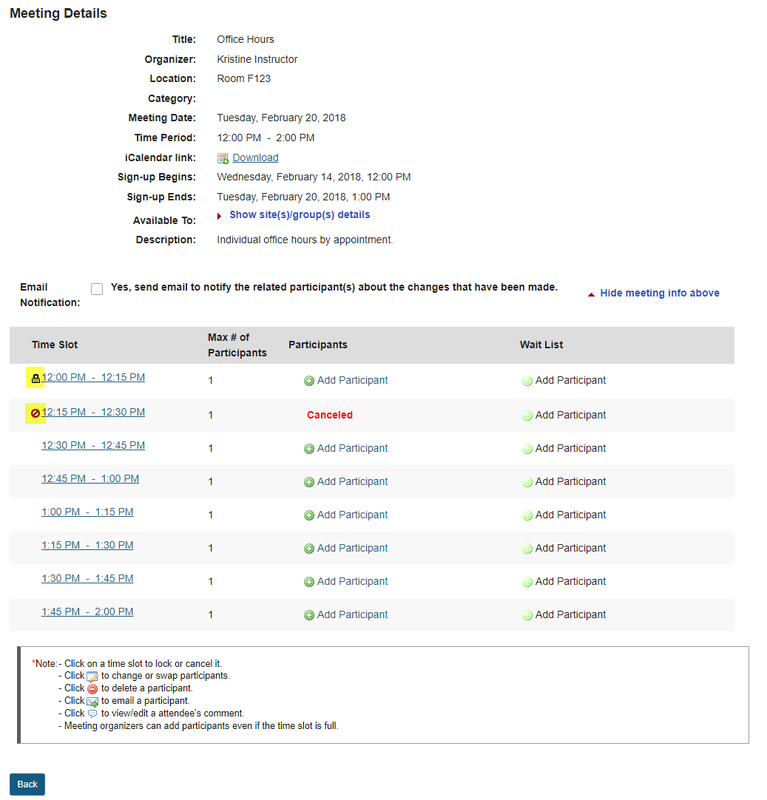 Sakai Community DocumentationSakai 19 User Guide (English) Sign-UpHow do I lock or cancel a time slot? Click on a meeting title. 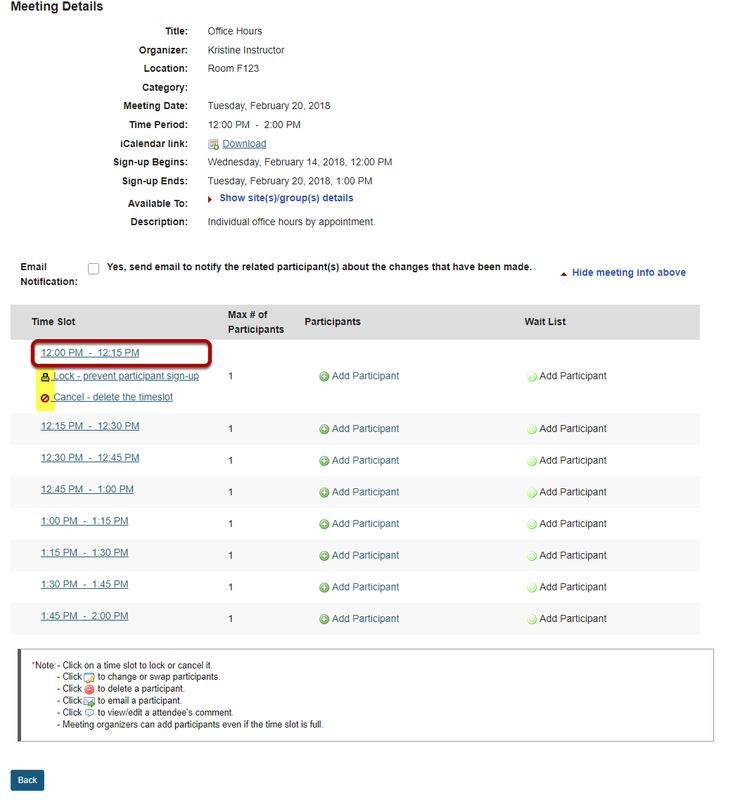 Zoom: Click on a meeting title. Click on the time slot you want to lock or cancel. Zoom: Click on the time slot you want to lock or cancel. Click it in the time slot table and use the options presented underneath it. Note that you can first move participants to another time slot using the edit buttons beside individual entries. Once locked/canceled, the time slot will have an icon indicating that it has been locked or canceled. Zoom: Once locked/canceled, the time slot will have an icon indicating that it has been locked or canceled. Prev: How do I edit a meeting? Next: How do I copy a meeting?